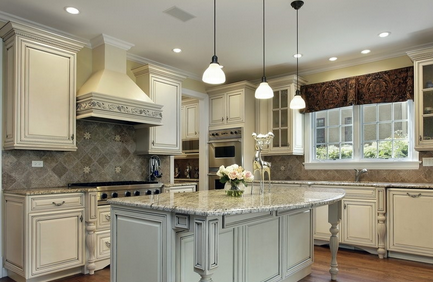 Like any room in a house, your kitchen is an integral part of your home and one that you'll spend many hours in. It's one of the only areas that you can truly get away from everything, whether you're cooking a large family lunch or making an intimate meal just for two. However, if you're like the majority of people, you won't have an expansive kitchen area to work with, and a cluttered kitchen can feel much less of a peaceful sanctuary. However, with a little work and some fresh kitchen cabinet designs, you can overcome this problem and feel like your kitchen has had a makeover into the bargain. 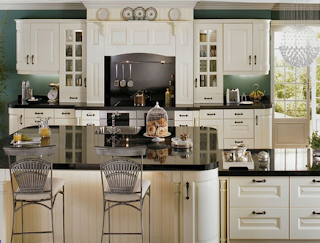 The great thing about kitchen cabinet designs is that there are so many of them that it's virtually impossible not to find one to suit your exact needs. And if you're feeling adventurous, you can even make some yourself, with the right tools and materials. Even if you're not of a DIY nature, you can still buy both basic and simple cabinets to enhance your kitchen and make use of the space at your disposal. Should you just wish to add some extra space to your kitchen, and you're not too bothered with the new units fitting in with your existing furniture, you can buy what's known as 'stock' cabinets. These standardized units come with their measurements preset and are ideal if you just need something quick and simple. The downside is that they have far fewer design templates so they may clash with existing cabinets. If you're looking to spend a little bit more money, and are happy to take the time and make sure that you can find kitchen cabinets whose design is going to enhance your existing fittings, then you'll find no end of specialists who can help and advise. One of the more popular options in recent years is to mix your colors, instead of simply going for all pine wood, or teak, or similar. Whereas one color for your cabinets isn't a bad option, by mixing a red and yellow color scheme, for instance, you immediately have the countenance of a warm and cool mix at the same time. Another extremely popular look at the moment is to take a step back in time and go for an old-worldly kind of look. This is more ideal if you have a larger kitchen, as the features in this style of kitchen cabinet design have cabinets that are made of strong wood, with many open features such as slotted plate racks, and cabinets that have more glass than usual for a see-through design. Not only does a kitchen with an old-world design look nice, it feels comfortable too, and lends itself well to losing many an hour preparing your next culinary masterpiece!